For over 80 years, Collins Aerospace is a recognized innovator of ice detection and protection systems for all-weather operation of aircraft. 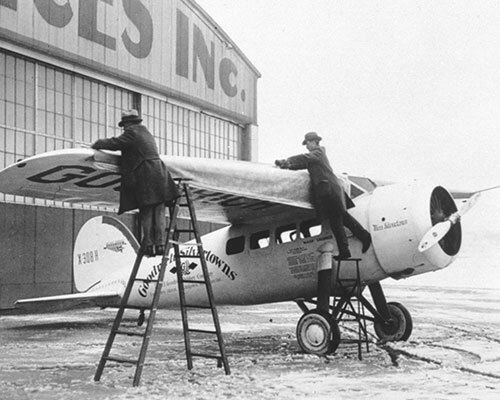 In 1932, we developed the first commercial pneumatic ice protection system for the Northrop Alpha mail plane. We continue to build on our extensive background, applying new de-icing technology to already proven products to meet the dynamic needs of our customers. Today, we are a leading provider of critical ice protection solutions for all-weather operation of high performance aircraft. Our products include: Goodrich FASTboot® and Goodrich SILVERboot™ pneumatic de-icers; DuraTherm® electrothermal ice protection and heating products; rotor ice protection systems (RIPS), windshield heat controllers; and wiper systems. Our Authorized Installer Network is backed by on-site engineering support for premier OEM installation and service of your de-ice boots. Our comprehensive solutions cover all aspects of de-icing system development, from design and manufacture to qualification and certification to aftermarket support and installation services.